Island farm lies to the south of the village of Bishop Middleham. 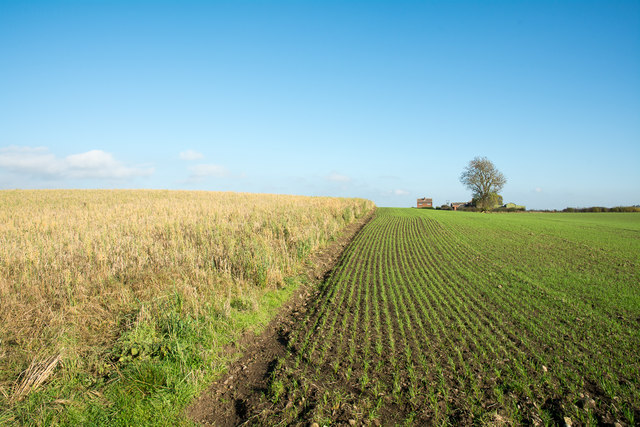 The field can be seen to have two crops - one newly emerging, the other an odd one. The crop in the left part of the field is doubly curious, firstly in that it's a mixture of barley and oats and secondly that it remains unharvested in early November! Labelled 'The Carrs' on MagicMap, I suspect this is temporary seasonal inundation fed by the Stony Beck.